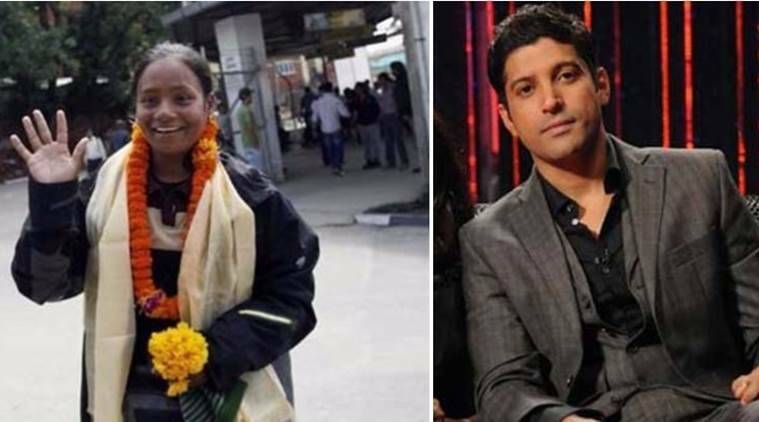 The fate of a proposed film on Arunima Sinha, the first female amputee to climb Mount verest, seems uncertain as she claims there is a disagreement between her and producer Farhan Akhtar over royalty. “Farhan Akhtar is not ready to give the royalty as per the pre-laid conditions due to which the fate of the film is uncertain now,” Arunima Sinha said. “Farhan had come to meet me at my place here on May 18 and proposed to make a film on my life highlighting my struggle. But he is not ready to give the royalty as per the pre-laid conditions due to which the fate of the film is uncertain now,” Arunima told PTI. She claims she had put a condition that she will allow a movie on her life struggle only if she gets 15 per cent royalty from the earnings of the movie to establish an academy in Unnao for handicapped people. “However, the producers are planning to give a one time amount only. The amount they are offering is very little compared to my struggle and achievements,” she said. Arunima was a National level volleyball player, who was pushed from a running train by thieves in 2011 while resisting their attack. As a result one of her legs had to be amputated below the knee. On May 21, 2013, Arunima climbed Mount Everest and became the first female amputee to do so. She said filmmaker Ashutosh Gowarikar has also shown interest about making a film on her life, and communicated the same to her through Nana Patekar. “The talks are on. However, we have not discussed the issue of royalty. If you get rights to make a film on my struggle, my genuine demand should be fulfilled. I don’t want money for myself but for the academy, which is my dream,” she said. She said Patekar wanted to do role of ‘Sherpa’. “Nawazuddin Siddiqui’s name has cropped up to play the role of my brother-in-law, who persuaded me for Everest mission”, she said, adding that everything is at discussion level and nothing has been finalised yet.